The sleepy-little-hamlet, across the Feather River. Drive into Clio from Highway 89, cross the bridge over the Feather River and you have entered a very unique little community! 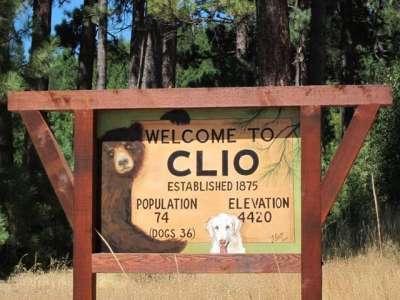 Clio (once called “Wash”) was at one time a bustling little logging town, with the train and stage stopping through. Discover the old and the new – (it won’t take you long) and visit with the locals there. Boasting a new post office and their own zip code, Clio is a special treat.